Syria has entered its ninth year of a brutal and unrelenting crisis, and the civilian population continues to face a catastrophic humanitarian situation. While the overall level of fighting has reduced, new needs are emerging in areas that are becoming accessible for the first time. Syrian Arab Red Crescent (SARC) teams are finding that years of war and neglect have left people facing extremely dire conditions, without access to even the most basic services. 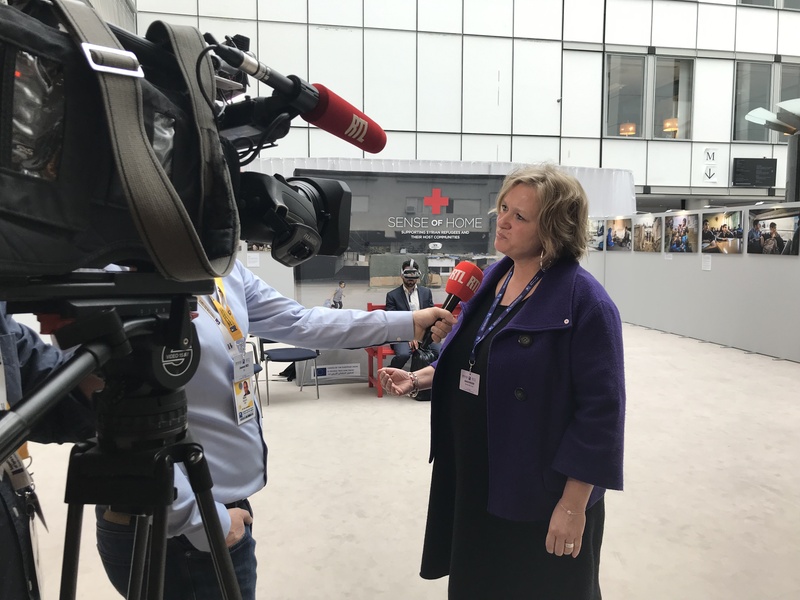 As stakeholders convened at the third Brussels conference on “Supporting the Future of Syria and the Region” on 12-14 March 2019, International Red Cross and Red Crescent Movement representatives shared their experiences from the ground and appealed for timely, adequate, and extended financial resources to meet increasing and changing needs. Co-hosted by the EU and the United Nations, the conference aimed to promote a lasting political solution to the crisis and mobilise international support for the Syrian people and communities hosting Syrian refugees. Every family has been affected by the crisis; whether through displacement, the loss of loved ones, livelihoods and education opportunities, or the impact on their human dignity. In 2019, an estimated 11.7 million people will require humanitarian aid, as the needs of people living in acute emergency overlap with those of people who are returning to their homes. Many conference participants underlined the persistent and varied protection needs of Syrians both inside and outside the country. Some are facing ongoing violence, but even in places where guns fall silent, the consequences of conflict will be faced for decades to come. “This humanitarian emergency is not over", stressed International Federation of Red Cross and Red Crescent Societies (IFRC) President, Francesco Rocca when addressing the ministerial segment of the conference. SARC volunteers are witnessing growing demand for their support and are often tasked with restoring essential services such as water, food, healthcare, and psychosocial assistance – services which are critical to fostering peace and helping to eventually return a sense of normality. President Rocca called for sustainable support for crucial emergency relief interventions and underlined the need to increase investment in longer-term programmes that re-establish health services and enable Syrians to rebuild livelihoods. “To the extent possible, these resources should be multi-year and flexible, in recognition of the scope and complexity of the work that is needed”, he said. Too often, humanitarian access is being used as a commodity in political negotiations. Furthermore, there are still areas where humanitarian actors cannot go. During the civil society segment of the conference, SARC Secretary General, Khaled Erksoussi, joined other participants in stressing the need to ensure unconditional, safe, timely, unhindered and sustained humanitarian access. “SARC has ten thousand volunteers on duty, who delivered critical assistance to 6 million people in 2018” he said. “They are the last mile. Without them all the relief items would stay in the warehouse… They must be protected”, he added, while recalling the tragic losses of Red Crescent staff and volunteers suffered throughout the conflict, as well as the risks of detention and kidnapping that they regularly face in the line of duty. With more than 5 million people displaced by the Syria crisis to neighbouring countries, International Red Cross Red Crescent Movement partners are working in Lebanon, Jordan, Egypt, Iraq and Turkey to support refugees and local communities. During the conference, they underlined that human suffering must be addressed, with special attention paid to the most vulnerable people. The human rights of Syrian refugees must be respected. They have a right to receive assistance and protection, and to maintain their dignity. 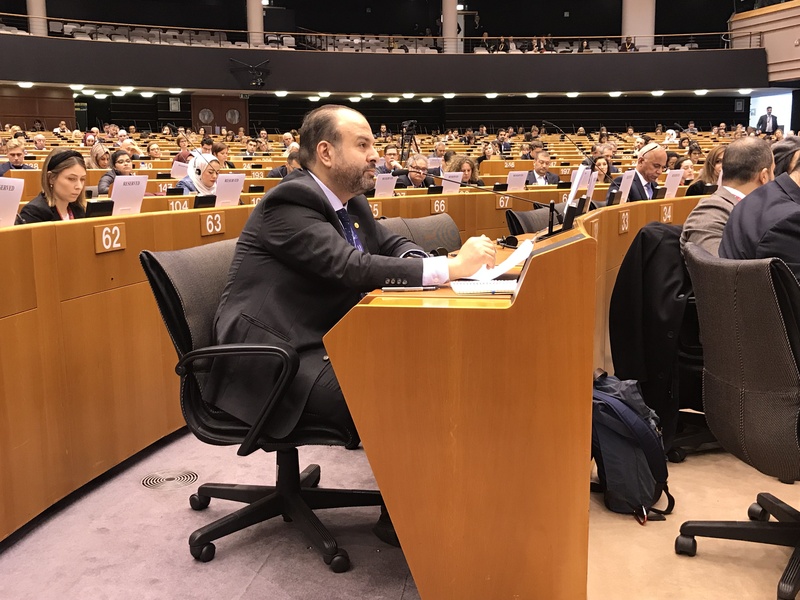 The Brussels III conference involved a record number of Syrian and international non-governmental and civil society organisations in the preparations and during the three-day event, providing an important platform to share respective views and testimonies. It succeeded in mobilising international aid to assist people inside Syria, as well as Syrians and host communities in neighbouring countries, with pledges totalling EUR 6.2 billion for 2019, and EUR 2.1 billion for 2020 and beyond. SARC Secretary General, Khaled Erksoussi, welcomed this continued engagement: “I’m glad to hear about the commitments towards Syrians and that the Syrian people will not be forgotten”.